Subaru celebrates 40 years in Canada and brings its ugly past and three new models for consumers. Subaru Canada is celebrating 40 years in Canada. As part of its anniversary celebration, Subaru will bring its ugly past (the Subaru 360), and three new models for consumers. Subaru will display the classic 1969 Subaru 360 at the 2018 Canadian International AutoShow. 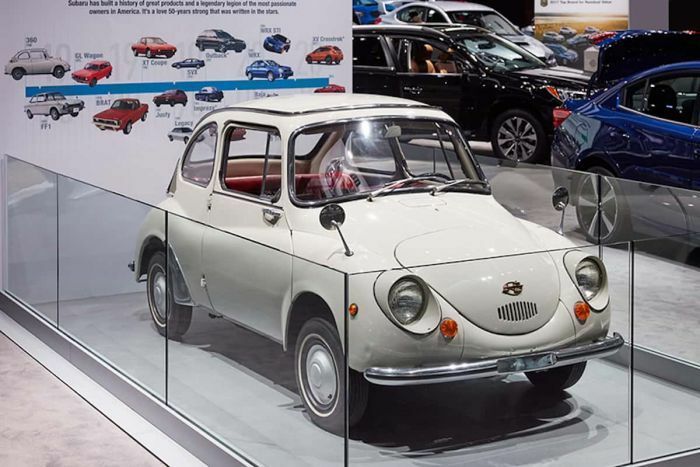 One of the company’s first automobiles, the 360 was the first Subaru sold in North America. Consumer Reports called it, "the most unsafe car on the market.” It was also ugly. The future is also on display at CIAS. Making its Canadian debut in Toronto, the 2018 WRX STI Type RA (Record Attempt) is an STI-tuned, limited-edition model commemorating the WRX STI that broke the outright lap record for sedans at the famed Nurburgring. It’s limited to just 75 units in Canada and includes upgrades over the stand STI enhancing the performance of the already-impressive WRX STI. WRX STI Type RA gets increased horsepower (310hp), exclusive Bilstein dampers and coil springs, and a carbon fiber roof and rear spoiler. The 2018 BRZ tS, another limited-edition model is also on display for performance enthusiasts. It’s limited to just 100 examples in Canada. tS is short for “tuned by STI”, and it gets a variety of upgrades, including STI-tuned front and rear SACHS dampers and coil springs, flexible V-bars in the engine compartment, and new draw stiffeners to the chassis. It keeps the same 205hp Boxer engine as the standard model. Subaru also brings the newest and largest Subaru ever built, the all-new 2019 Ascent 3-Row family SUV. 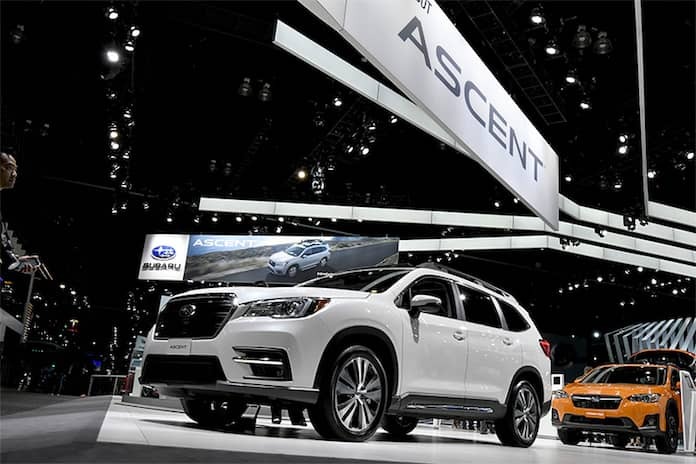 The new Ascent is designed with active families, and features seating for up to eight people, 19 cupholders and standard equipment including Subaru’s renowned Symmetrical all-wheel-drive system and EyeSight driver assist safety suite.